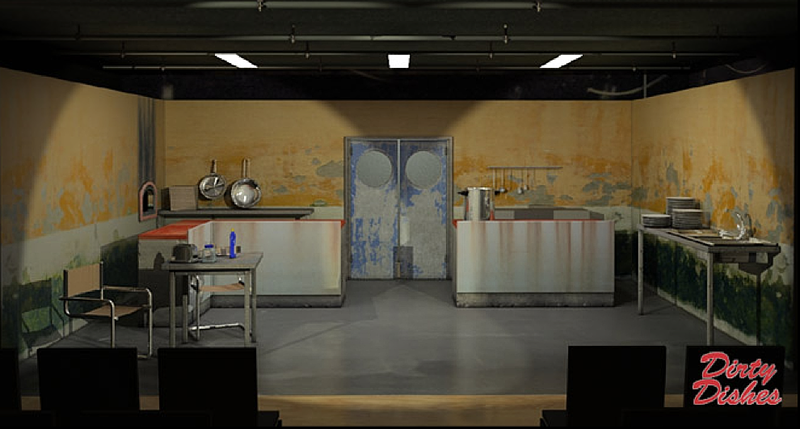 Nick Whitby's first professionally produced play was the black comedy Dirty Dishes, set in a London pizza restaurant in Thatcher's England. It began its stage life on the Edinburgh Fringe, transferred to the Boulevard Theatre in Soho London, and was adapted into an hour-long play for ITV. It then received over twenty major productions in German-speaking countries in Europe, including at the Munich Stadttheater, and the Berlin Schiller Theatre, and ran for over 600 performances at Stuttgart's Theaterhaus where it was revived in 2013. It has not so far been revived in the UK. It has a cast of four men and four women. The script is available on request.